I’ve been struggling with blogging lately. When I was living in Baltimore I would make things that served 4 or 6, send leftovers with the GS and have it 1 or 2 days myself. Now, it’ s just me. No friends or boyfriends or classmates to pawn food off on. So when I make something, I have enough eat it every single night for a week. It’s more like, woe is you, you can only be exposed to my wit and wisdom once a week because I can’t keep cooking new things if I still have leftovers. So when I was at Wegmans last night I was trying to think of things that would be easy to keep in a 1-2 serving size range so that I could make something NEW and BLOG it more regularly. Plus, maybe there are some others out there who also only want to cook things in small batches. This is going to become a public service. 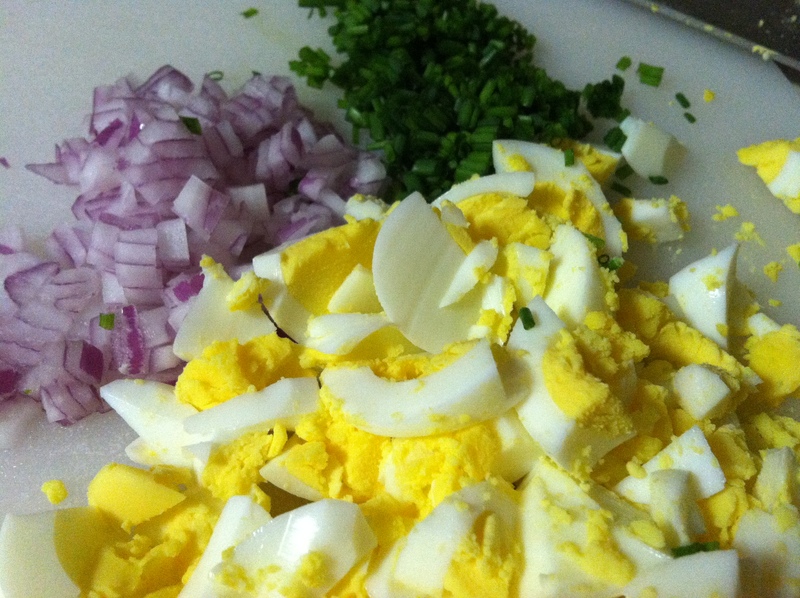 Or perhaps not because the first idea I came to was egg salad. 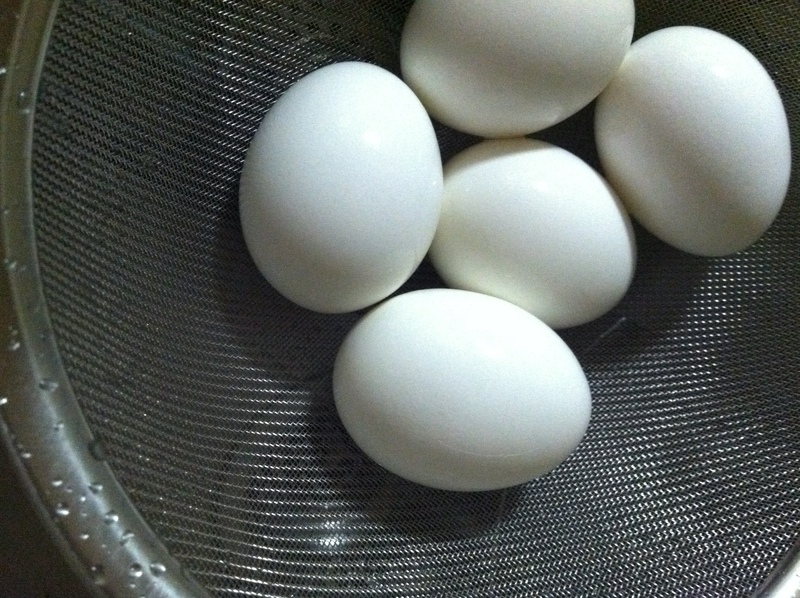 Jess over at How Sweet It Is was talking about making egg salad the other day and how it’s such an old lady thing. I didn’t realize it was an old lady thing, but that could be because most of my habits are not generation-appropriate. It’s straight up delicious. Lots of protein, served cold which is nice when you don’t want to pay for air conditioning, and it makes excellent leftovers. Might even be better as leftovers. 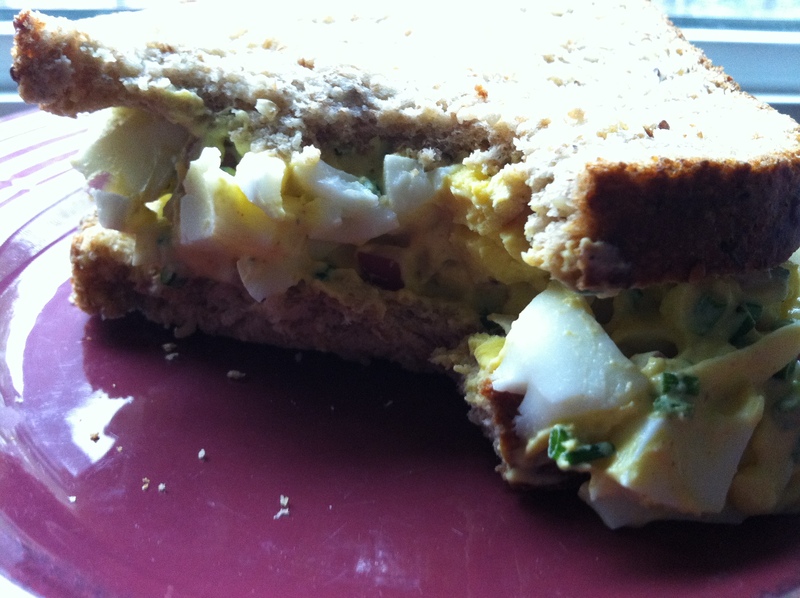 The key for me to good egg salad is not overloading it with mayo. I only put in a little bit, plus the mustard and sour cream, to hold it together but not make it feel too fatty. Two kinds of onions? Yes please. And the spices just give it a little extra kick. 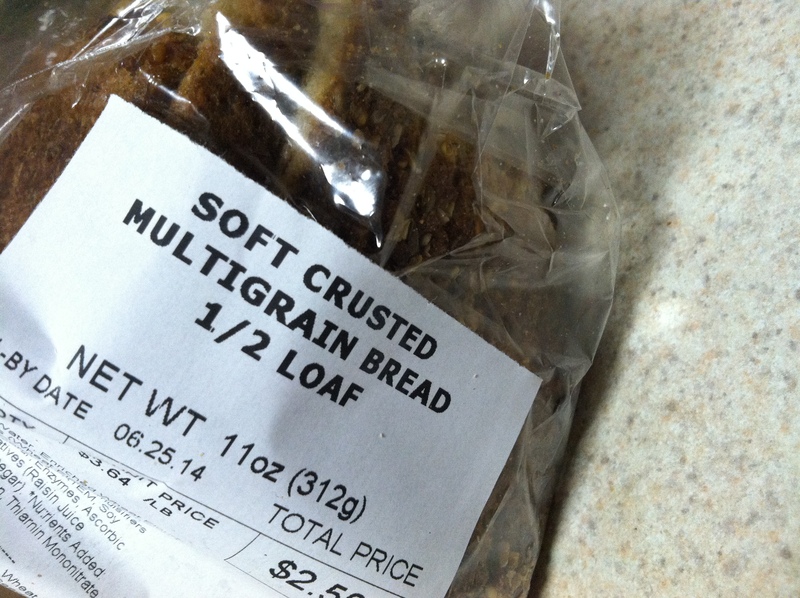 I had mine with some multigrain bread that Wegmans is kind enough to sell in half loaves. They think of everything. Plus I had a coupon! Okay yeah I’m an old woman.